Selling requires having a customer base willing and able to buy your products and services. However, finding the right customers requires prospecting for long periods. In the age of social media, the internet is the biggest frontier for businesses to prospect, engage customers, and grow their revenue. 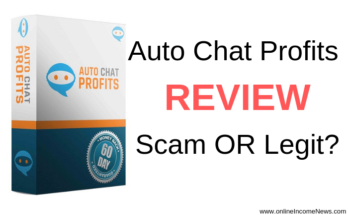 But what’s the best way to prospect online In this article, we will cover some of the best techniques to win new customers on the internet. There is so much you can get with a simple Google search. In fact, what you are looking for might pop right at you with the right keywords. Everything that we do online never escapes the watchful eyes of Google and other search engines, and this can be a wealth of information for the sales professional who can use it. Google is a simple and cost-effective tool for prospecting if you have a clear understanding of what you are looking for. From people’s spending habits, their favourite sport, the company they work for, their friends, and so many details about the person, Google can provide all this information and more. Let’s say you need a list of companies using a particular brand of industrial thinner. 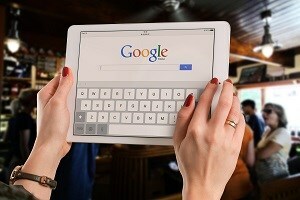 All you need do is perform a Google search using the keywords you want to show up. The search engine instantly provides different companies with your keywords and others like it. All that is left is to streamline your search and sift through the information to get what you need. It’s important to know who is calling the shots regarding what to buy and from whom to buy. You won’t make any headway if you are getting the email addresses of lower level management that only do the bidding of the higher executives. Your best bet is to dig up as much information about your potential customers as possible so that you can have access to the people who make the important decisions. When you know those people, establish a strong relationship with them so that you can influence their decisions regarding your services. While Google provides a cheap and effective way of prospecting, many people underutilize the search engine because they don’t know the best way of performing searches. It’s important that you know the best practices for using Google. It’s not really about searching for keywords; rather, it’s about being smart about using the platform. You can use apostrophes, semicolon and other signs and symbols to narrow your search results to make it as accurate as possible. Before you start cold pitching, try Google first, and maybe you won’t have to spend countless hours and high phone bills prospecting the old school way. If the internet is the new frontier of business in the 21st century, then social media is the ground zero for winning new customers. If you haven’t been using social media to prospect for clients up until this moment, you have seriously been leaving a ton of money and opportunities on the table! Depending on your area of specialization, social media can be the ultimate melting pot for businesses to woo and win prospects, build connection, and nurture relationships until prospects become loyal customers while engaging them constructively for many years to come. From Facebook to YouTube, Twitter, Instagram, LinkedIn and Snapchat, the power of social media in helping to pull large amounts of audiences for millions of businesses is unprecedented in the history of doing business. If you are looking to win new clients in professional fields, no better place to do that than LinkedIn. In fact, LinkedIn has been dubbed the Facebook of professionals because it has the largest concentration of companies and professionals in one place. 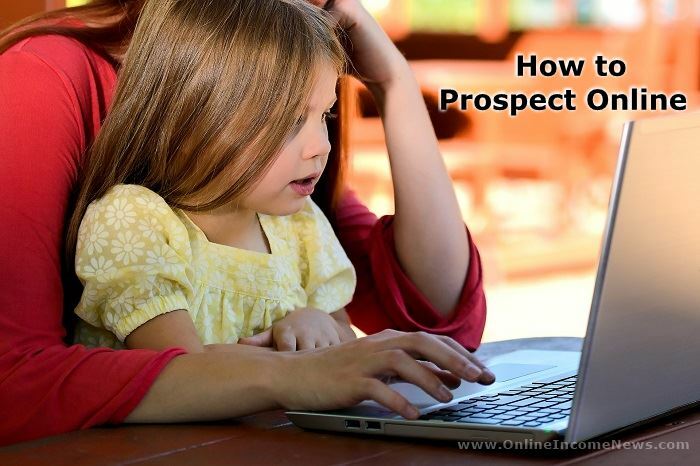 No matter the type of career or product you want to promote, prospecting on LinkedIn is as easy as sending a connection request to people you want to have on your audience list. Facebook was the first platform to offer something many other social media sites don’t have; the ability to target a particular demographic with pinpoint accuracy. With Facebook, you can target a particular group of users, in a specific geographical location with exact target parameters. Through social media, you can join different groups where your target audience like to hang out. Over time, you get to build your authority as a member of the online community. For your social media prospecting to be successful, you have to be seen as providing value. Build an attractive and professional profile for yourself, so people don’t back off when you reach out to them. Be mindful of your activities, because the internet never forgets. People can go back in time to check your interactions, videos, photos, likes, shares, the groups that you follow, your friends, and many other little details that might not be important to you, but which can be a huge turn off to prospects. Social media is all about leaving a good impression. Make your posts intentional. 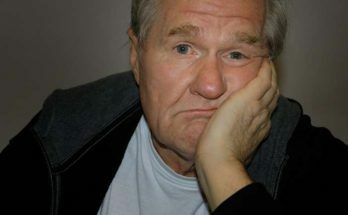 Don’t post because you want to win new customers, but always try to provide your audience with real-life solutions to problems, and be sincere about it. Your posts should not only educate and inform but should also be fun to read and stimulate conversations. That way, your messages about your business won’t come off as desperate. LinkedIn offers plenty of potential prospects waiting to be won over if you play your cards right, but you need to know where to look. The best way to win prospects on LinkedIn is to join as many groups in your industry as possible. But joining the group isn’t enough, you also need to be an active participant, providing value consistently. Consistency is the most important factor that shows people you are serious about what you are doing. Email may look old school with the level of advancement in the IT sector, but it remains one of the best ways of winning new prospects. 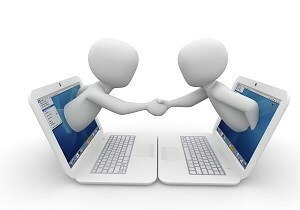 It is estimated that the return on investment for email is double that of cold calling. The problem with this method lies in your email campaign strategy. Blasting off thousands of emails without a definitive strategy is money going down the drain. The first step is knowing and understanding your audience and then developing an effective message to make them take your point of view. 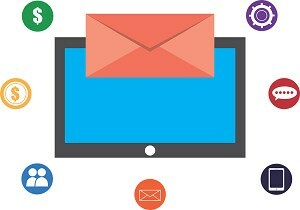 Your email should provide value through clear messages your audience can relate to. You don’t want to bore your audience; concisely make valid, valuable points. Several free tools are available on the internet to improve your cold email strategy. All you have to do is a little research, craft a well-organized message and send to a targeted audience, and you will ramp up your lead generation. Sometimes, knowing what to sell is more important than the buyer. You need to stay abreast of happenings in your industry so that you can position yourself to exploit new opportunities as they become available. 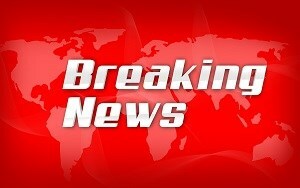 You can achieve this by subscribing to blogs and news sources that report industry activities. You can also join forums and online groups where industry players congregate to share happenings about their field. In fact, you can get cosy with people in the know using this strategy if you’ve already built your clout as an active member of the forum. They have challenges, and here you are with the solutions; it’s a win-win for everybody. After doing all the prospecting online, your job is not finished yet. You have to follow up with your prospects by engaging them both online and offline. While the internet has helped pull down geographical boundaries and made prospecting and doing business easier, some relationships require face to face or on the phone conversation. Whatever it takes to win your prospects over, don’t hesitate. It could be attending conferences, award nights, talk shows and others, but never shy away from an event that can generate new leads for your business. It’s vital to understand your customers. Know what they want and be clear about their ability to buy your offerings. 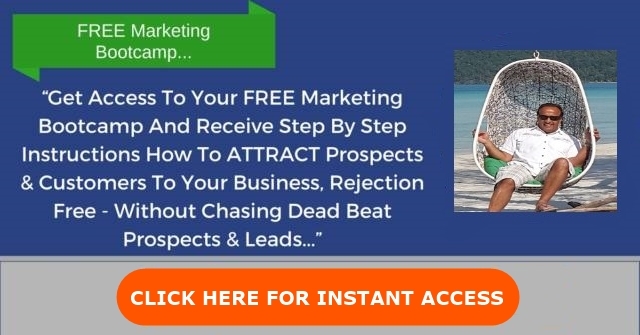 That way, you won’t be wasting your time prospecting for them in the first place. 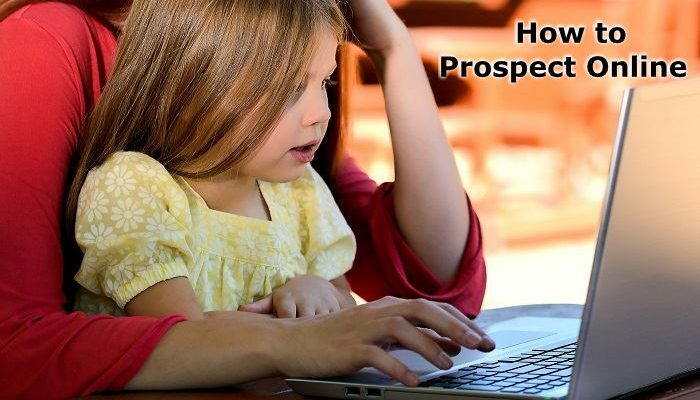 I hope you enjoyed this post and if you have any questions about how to prospect online or you just want to leave your own personal experience, leave a comment below. I would love to hear from you! Thank for taking your time to put up this kind of article. The article should help so many especially those who just start out. I must admit, I always shy away from social media. After reading this article, I make up my mind to spend more time on social media. And will do it constantly. Thanks again for sharing these tips! Maun, if you are not using Social Media you are missing out on a goldmine. My advice to you is NOT to try and cover all Social Media platforms at once. Start with one, get comfortable with that and then later pick another one. Just be aware of the time you spend on Social Media as it is too easy to get distracted on Social Media and not get much work done, speaking from experience! Wish you much success. Come back and share your success with us.